It is a very easy recipe. Pudina / Mint has health benefits and also used medicinally. This gives the Paratha a unique taste. Pickles or Curds/Yogurt will be the best accomplishments. 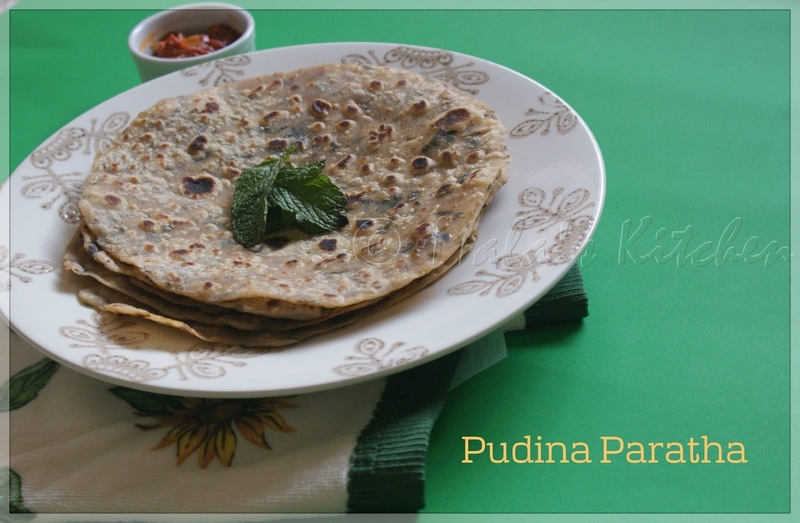 Simply love mint flavour in parathas,delicious. That's a fabulous recipe. Simple and delicious!